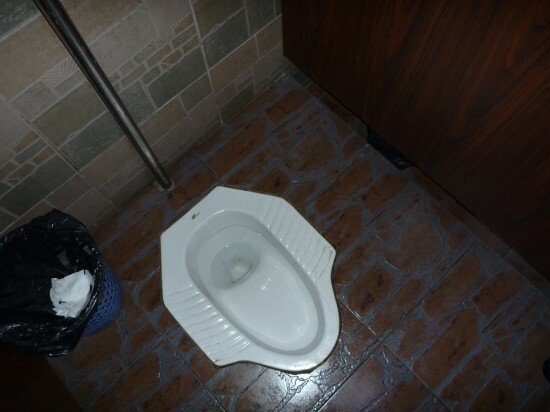 Squat Toilets (also known as Turkish toilets) are pretty much a hole in the ground affair. 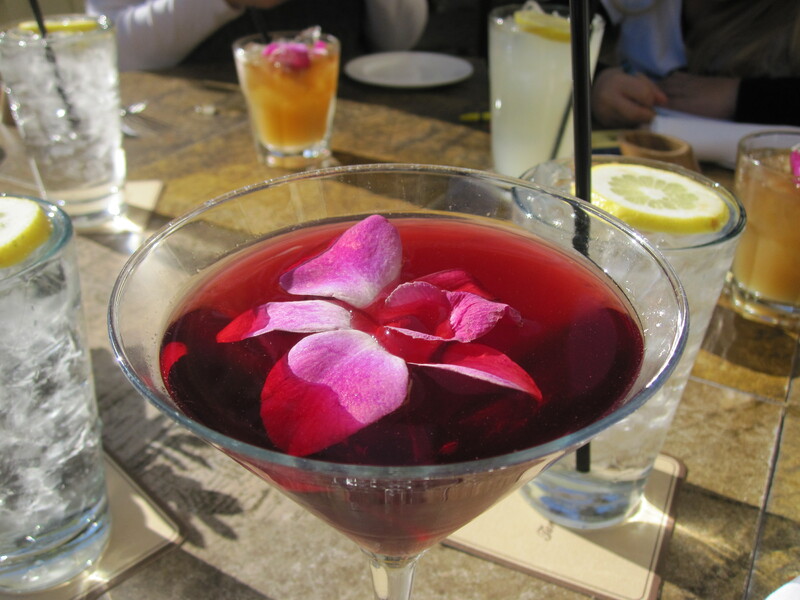 They come in varying degrees of sophistication. Basically there is no sitting here, but there is a raised platform for your feet. A very good thing if you happen to be wearing sandals! 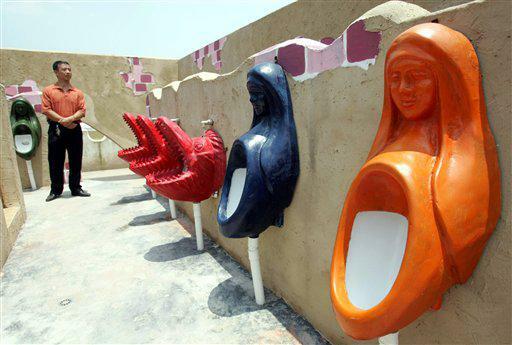 These squat toilets are found throughout much of the world including China and other countries in Asia. 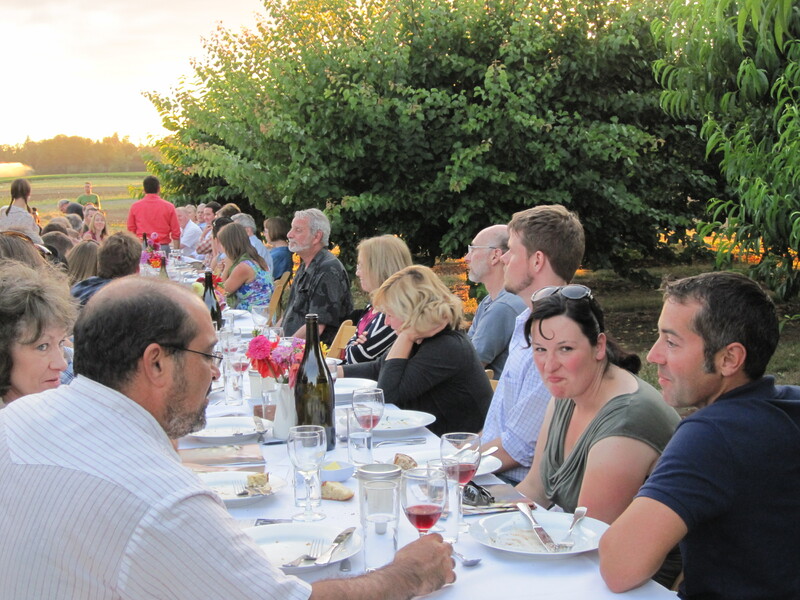 They are also common in many European countries as well, particularly when you get outside of the big cities where there are upscale hotels and restaurants. I’m told these squats are actually much more hygienic that our standard American model. 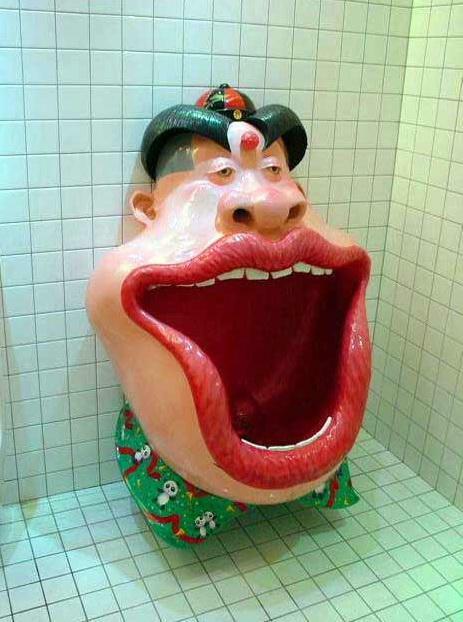 One word of caution (and I read this several times) – be careful when you flush – they spray water all over the place. 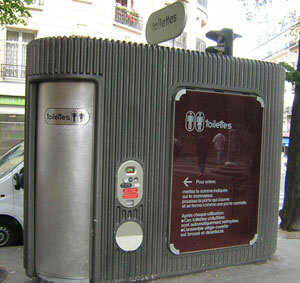 Public Toilets – many of which are pay toilets. In much of Europe these are space age boxes out on the sidewalk. They have automatic doors which open when you put in the correct change. Note to Self – Always carry change! You’ve only got 15 minutes so don’t dilly-dally. And do not even think about trying to jump in after another paying customer exits. 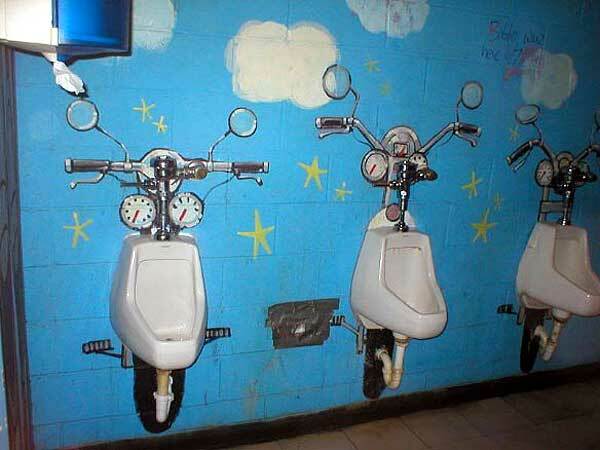 The toilet folds into the wall and the place is gassed with spray cleaners and deodorizers. Then there is the hand washing – kind of like going through a car wash. First water comes out, then soapy water, then more water, and then the dryer – all from the same spout. 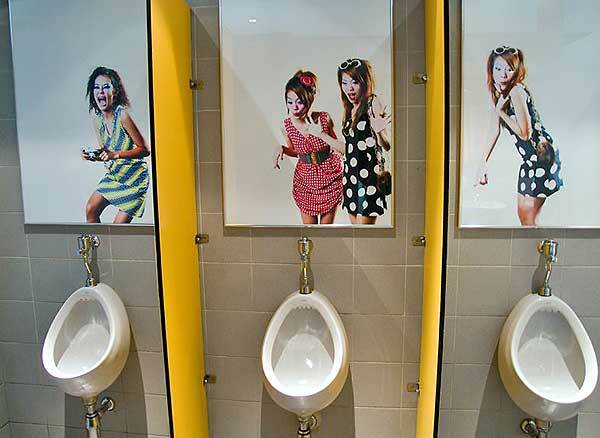 Many countries are not as hung up as we Americans on needing privacy while we pee. 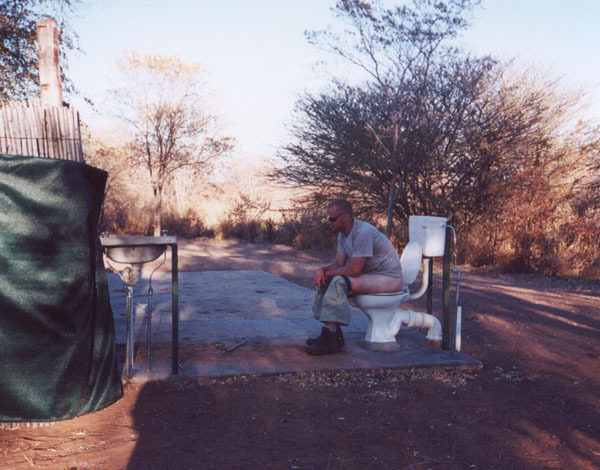 It is not uncommon to see unisex toilets, toilets with no doors and toilets that are open to your head and feet. This will take some getting used to. I must admit that, except for the cat who always pushes his way through the door when I’m in there, I think of going to the bathroom as a solitary endeavor. 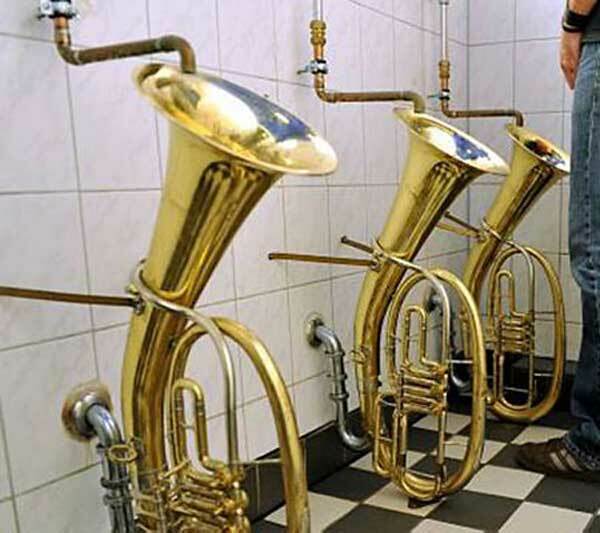 I’m not sure why all this creative energy seems to be focused on the urinals but that’s the way it was. If you figure that out, please let me know. And as my mother always said before we left the house – “Do you have to go?” “No? Well, maybe you should just try.” Thanks mom! I love to read and always have several books going at the same time. Usually my method of choosing a book is cruising through Powell’s Books and picking up whatever calls out to me in the moment. I pick by title, cover and sometimes author. It is usually totally random and not every one is a winner, but so far my system has worked quite well. Since summer is almost here and some of us are dreaming of the luxury of a lazy afternoon or two stretched out in the lawn chair or on the beach with a book, I thought I would share a few I’ve enjoyed recently on my new favorite topic – Road Trips. These are easy reads and by no means high literary art. Beach books all – but with heart and humor. 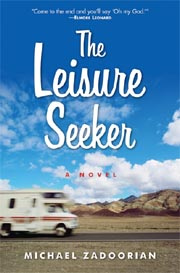 The Leisure Seeker by Michael Zadoorian ~ Ok, I LOVED this book. I bought it based totally on the title and the short blurb on the cover. I could not believe it was written by a man. Someone said “Michael Zadoorian must be a wise old lady.” Agreed! 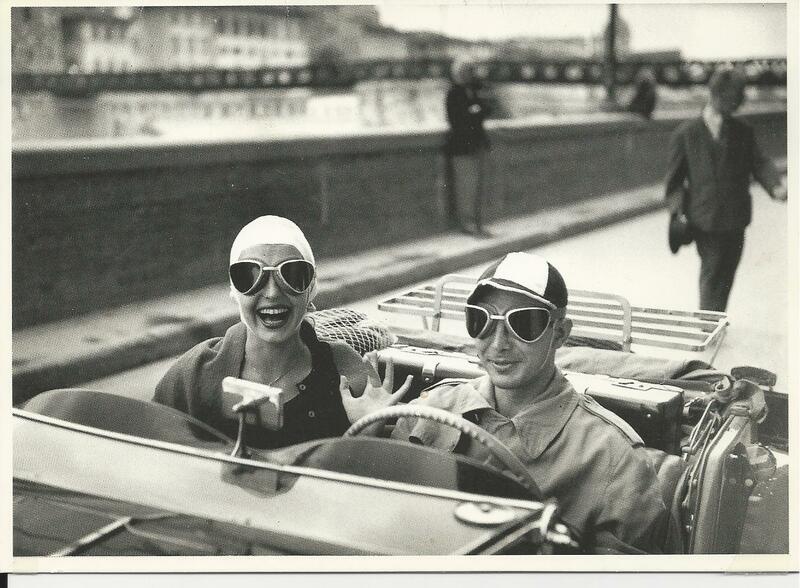 This is the story of John and Ella as they take one last road trip. Ella has cancer and John’s in the grip of Alzheimer’s. Ella is determined that what they need most is a vacation. In Ella’s words…”You might ask if this is the best idea? Two down-on-their-luck geezers, one with more health problems than a third world country, the other so senile that he doesn’t know what day it is – taking a cross country road trip? Don’t be stupid. Of course it’s not a good idea.” But, turns out – it was a perfectly perfect idea! This is the ultimate road trip, love story and final act of bravery all rolled into one. I cheered them on until the very last page. This review in the Route 66 News says it better than I can. 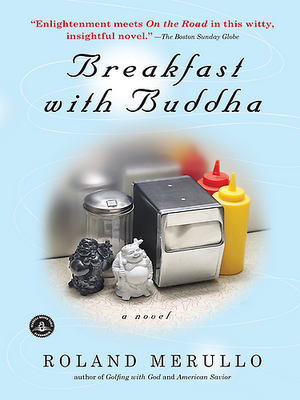 Breakfast With Buddha ~ by Roland Merullo is another delightful read. I think it might appeal to seasoned Buddhists as well as anyone who doesn’t know the first thing about Buddha. Actually, for me, it was more about contemplating your own life’s journey. The story centers around Otto Ringling, a middle-aged man who’s dealing with a case of “what’s it all about Alfie?” and a serious gourmet food habit as well. After the death of his parents, he’s conned into taking a road trip from the suburbs of New York to to the family farm in North Dakota with his sister’s Rinpoche (guru). Along the way Otto and his companion share lots of American misadventures as well as insightful Buddhist teachings. It’s a fun, quick read, but it also managed to give me pause more than a few times. And I loved the food descriptions as well. In short, Breakfast with Buddha is a tasty treat. 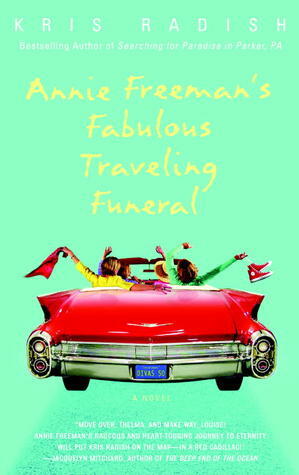 Annie Freeman’s Fabulous Traveling Funeral ~ by Kris Radish. Ok, first, let me just say that I am not a huge fan of this author. I chose this book solely based on the premise. I love the whole idea of the traveling funeral – so watch out friends of mine – you might get a UPS from me after I move on to the Next Adventure. For Katherine Givens and the four women about to become her best friends, the adventure begins with a UPS package. Inside is a pair of red sneakers filled with ashes and a note that will forever change their lives. 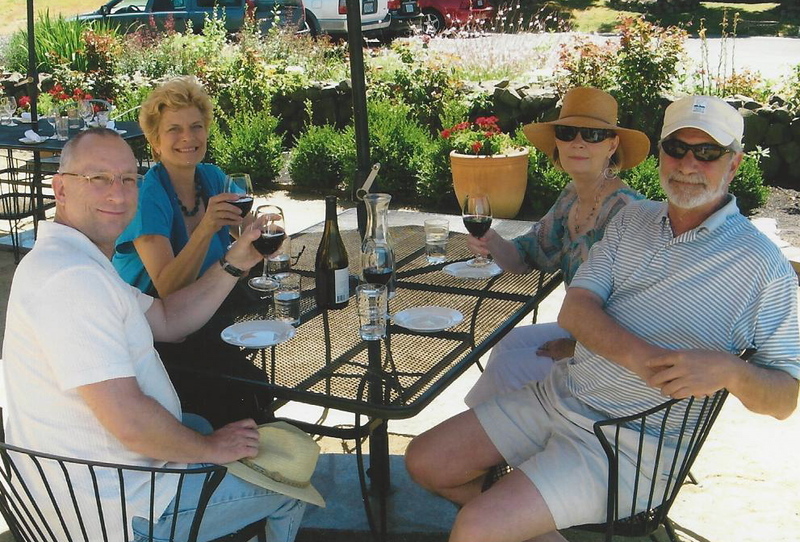 Katherine’s oldest and dearest friend, the irrepressible Annie Freeman, left one final request–a traveling funeral–and she wants the most important women in her life as “pallbearers.” From Sonoma to Manhattan, Katherine, Laura, Rebecca, Jill, and Marie will carry Annie’s ashes to the special places in her life. The ultimate final road trip with more than a few interesting and memorable moments. What’s on your Summer reading list? I’m always looking for a good read. I come from a family of tea drinkers. It’s part of my Canadian heritage. After I outgrew mother’s milk, I’m pretty sure I moved right into tea with milk and sugar. It was the cure for what ailed you, body or spirit. My grandmother could read your future in the tea leaves and it was family tradition to slurp up any patch of bubbles in the cup before they broke apart or hit the side to “get the money”. When I grew older I tried to move on to coffee because, frankly, it was way more cool. I never acquired the coffee taste. 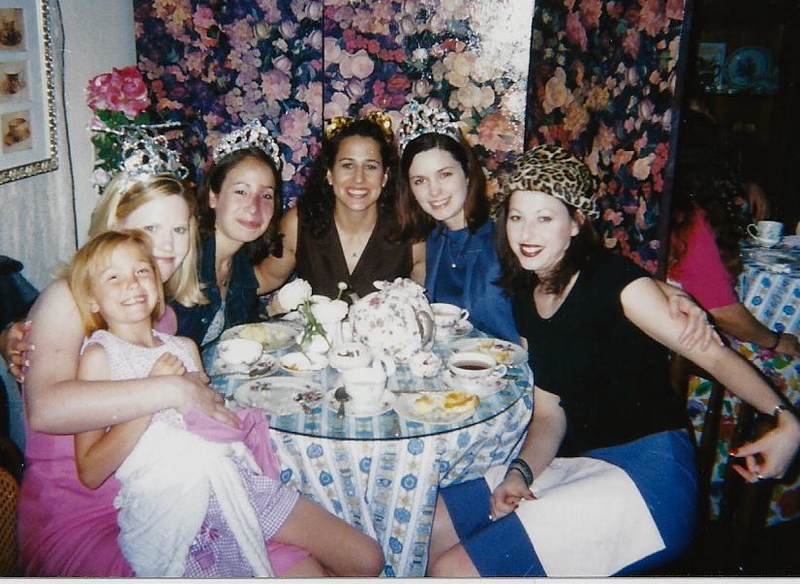 You’re never to old for a Tea Party! There are so many lovely rituals around tea – tea parties, tea ceremonies, and afternoon tea time, but my all time very favorite is hunkering down in a cozy corner and spending time with a cup of tea, a sweet treat and a good friend. Time slows. Conversation flows. And without exception I am renewed and restored at the end of our visit. I had the pleasure of sharing a cuppa with a truly beautiful and brilliant woman this afternoon. We get together about once a year for tea and a chat. We don’t see each other in between or communicate beyond the odd Facebook siting but, like magic, while the tea is steeping in the pot, we begin to chat and it is just so darned comfortable. I’m convinced that the ritual of sitting and sipping allows each of us to slip into our mental robe and slippers, put our metaphorical feet up and let our worldly mask drop. Tea conversations always wander all over the map – kids, jobs, parents, successes, failures, upcoming adventures – the list is endless and it is lovely. Bonds are forged, efforts cheered and sometimes tears are shed along with the laughter. I am grateful to have shared so many special moments with dear friends over a cup of tea. In my last post I wrote about walking with my hubby and shared my dream of taking a walking vacation. I’m picturing this as the travel version of the slow food movement. Taking our time. Savoring every step. Stopping to take photographs. And, the best part- burning enough calories to indulge my desire to sip and sample all of the local delicacies along the way . That’s my idea of a really good walk. Not everyone shares my vision of walking as a slow amble to the next food establishment. There are people out there who walk with purpose – for a cause – and I’m not talking a five mile stroll here either. These folks walk to raise money, raise awareness, make a statement and make a difference. They are stepping out in a really big way and I was so struck by what some of these walkers have accomplished, that I wanted to share their stories. They humble me and their efforts make our world a better place. There are literally thousands of people who have walked 1,000’s of miles for their cause. Here are just a few. You might already know of them. I did not. Dorris Haddock – also known as Granny D.
In 1995, Doris became interested in campaign reform and led a petition movement to remove unregulated “soft” money from election campaigns. 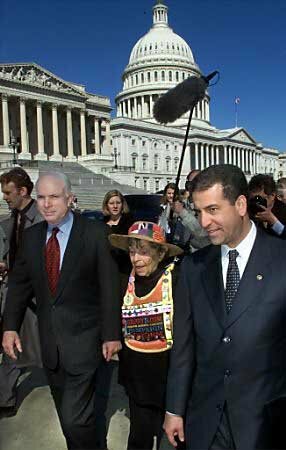 On January 1, 1999 – at the age of 89 – she began a 3,200 mile walk across the country to demonstrate her concern for the issue. 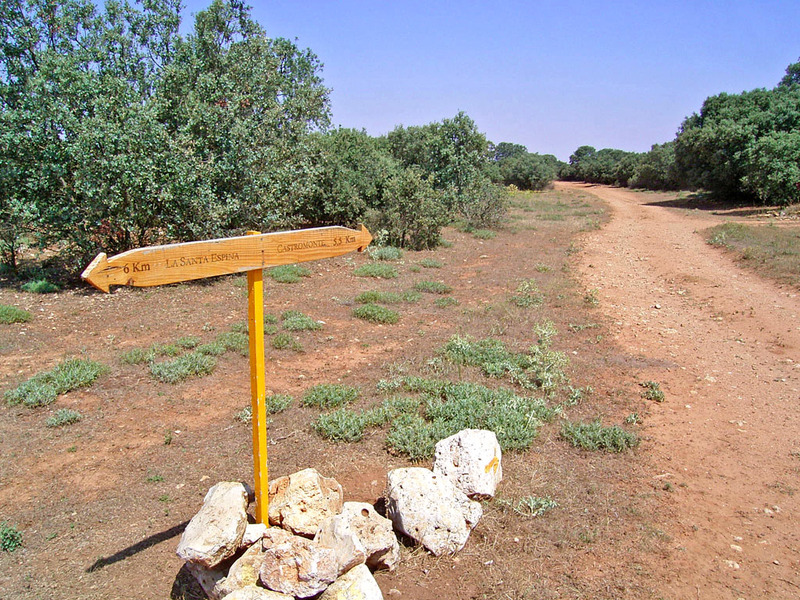 Walking ten miles each day for fourteen months, Doris traveled as a pilgrim – walking until given shelter, fasting until given food. With the unflagging generosity of strangers she met along the way, Doris never went without a meal or a bed. She trekked through 1,000 miles of desert, climbed the Appalachian Range in blizzard conditions and even skied 100 miles after a historic snowfall made roadside walking impossible. When she arrived in Washington D.C., Granny D was met by over 2,000 supporters. Several members of Congress walked the final miles with her. She died at the age of 100 in a head-on car crash on her way to a speaking engagement. Steve Fugate, a 65-year-old Florida man, made walking his passion after his son committed suicide in 1999. 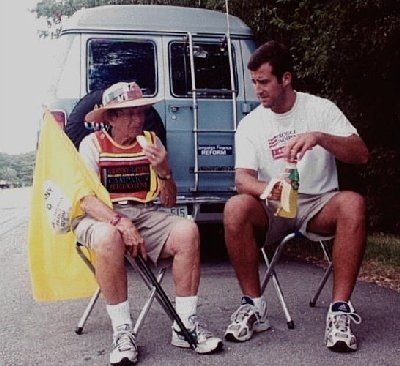 Since then, Fugate has walked all over the United States, tallying up 30,000 miles. At each stop, he talks to people, especially children, about learning to love life. So far, Steve has crossed the U.S. six times. He says he’s starting to slow down and might like to find an easier form of transportation or a small trailer (he usually sleeps in a small tent he carried) to make life a little easier, but his passion for sharing his LOVE LIFE message still burns bright. Follow Steve on his blog Trail Therapy. In 1999 Polly went for a walk. A very long walk. She traveled across 4 continents, 22 countries, and over 14,000 miles – by foot – to become the first woman to walk around the world as a one woman awareness campaign for breast cancer. Survivors and well-wishers around the world came to walk with her. Every day strangers welcomed her into their homes and shared meals. In the middle of Polly’s five year journey, the world suddenly shifted on it’s axis on September 11, 2001 and she suddenly found herself in a vastly changing world. Polly kept on walking. 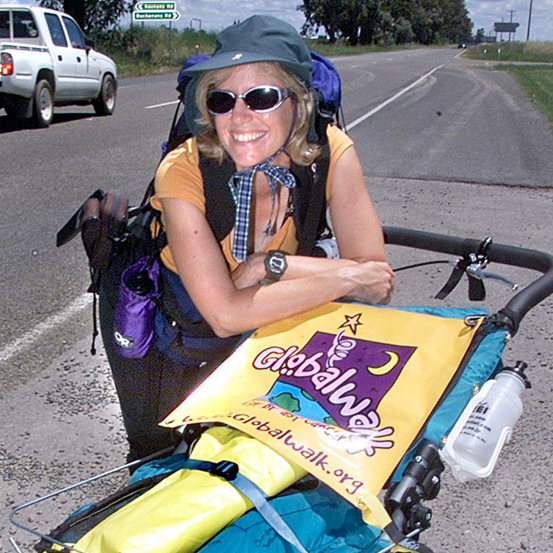 Today, Polly is a motivational speaker with a book, 3mph -The Adventures of One Woman’s Walk Around the World and a documentary film about her amazing five year walking adventure. 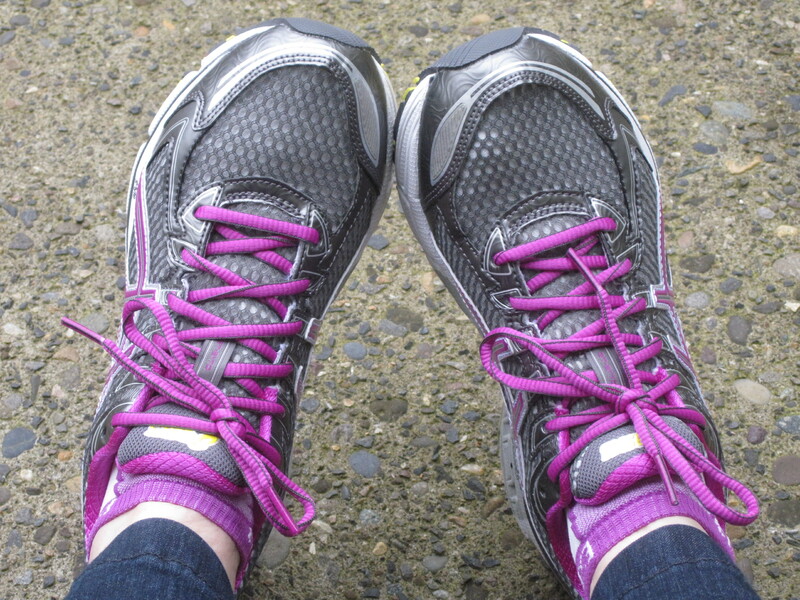 Makes me want to lace up my new shoes, adjust the backpack and hit the road…Starbucks here I come!